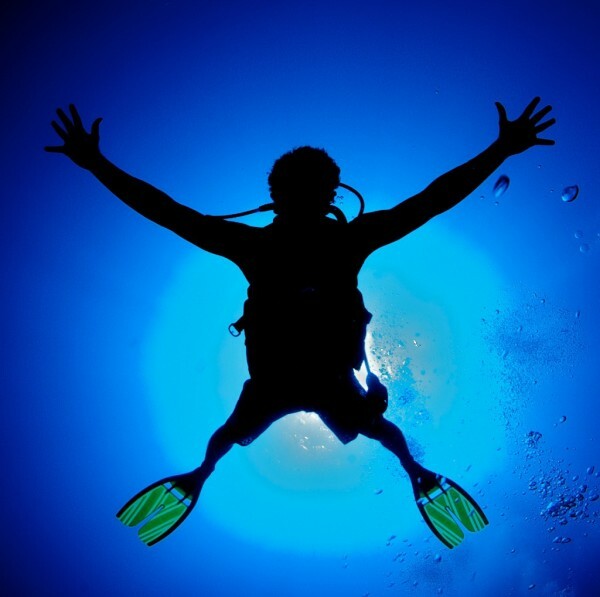 Ocean Frontiers Dive Shop is now offering a series of mind blowing dives in what are called 'Signature Trips'. Including The X-Dive, Dawn Stingray, Kittiwake Wreck Dive, Glow Dive, 3-Tank Safari*, Coral Conservation Dive and Macro Mania. Many of these trips are exclusive to Ocean Frontiers, invented by Ocean Frontiers or certainly pioneered by this award winning dive shop. "The X-Dive is my favorite dive in the Cayman Islands", brags Cayman Islands dive veteran and Ocean Frontiers Divemaster, Lois Hatcher. You dive an undisclosed location with your crew and navigate point-to-point along the Cayman Trench for a one-of-a-kind wall dive. This dive gives maximum time on the edge of the wall, giving the greatest chances for seeing the big stuff, including "Mr.X". "Dawn Stingray" does mean getting out of bed with the sunrise, but for those who want the ultimate Stingray encounter, this is it. The choice of BBC, Discovery Channel and National Geographic for how they photograph the Stingrays. Chances are if you have seen the large schools of Stingrays on TV or the cover of a magazine, they were with Ocean Frontiers. Did you know that corals glow in the dark? Using special UV (Ultra Violet) dive lights at night, scuba divers are able to see the coral reef like they have never seen before. Corals that are abundant inside the East End lagoon can be observed glowing in psychedelic colors on the "Glow Dive", every Thursday night with Ocean Frontiers.